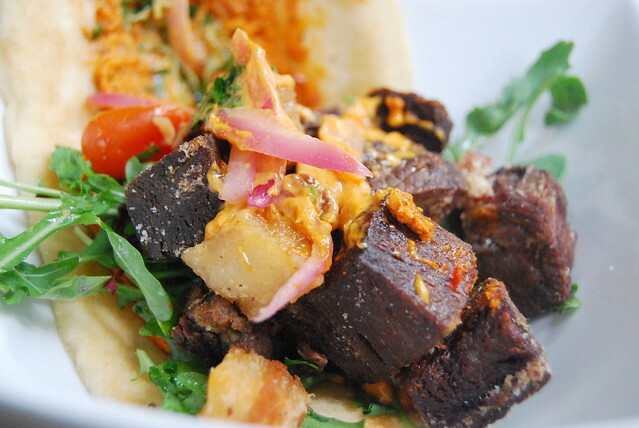 I remember the night I first tried Baco Mercat…and it was love at first bite. 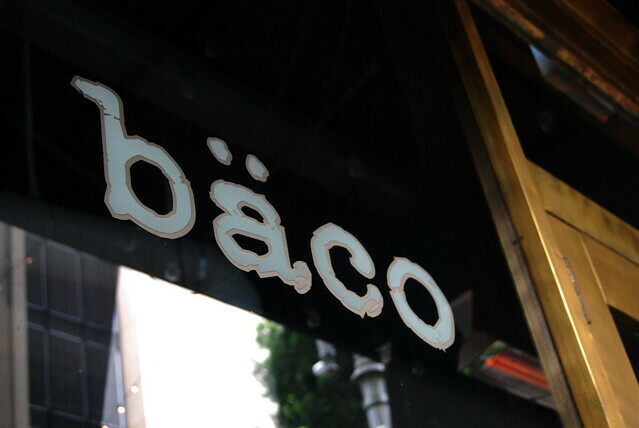 I was at the DTLA Artwalk in late 2011, and I knew Baco was coming…but not sure when they would be open. It just so happened that they decided to soft open that night. It was all about being at the right place and the right time. Since then I have been to back to Baco many times with various friends and my man of course. I remember when I first took him to Baco it had only been open a few months and told him that it was one of my favorite places, I was worried that maybe he wouldn’t like it. Turns out I had nothing to worry about, he’s a Baco fan. The other night, he had to go to DTLA to pick up his new Hedley & Bennett apron (my man is a chef…I don’t think I’ve ever revealed that on this blog before – pretty fitting right?) and decided to have an impromptu date night by taking me to Baco Mercat. Some time ago, when I last went to Baco I had ordered a bunch of other dishes besides my usual original baco, and was so disappointed. Its been a long time since I’ve been back, but this time I decided to just stick with my usual. 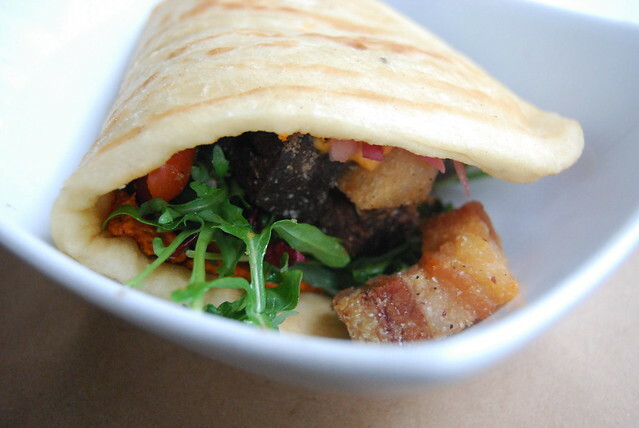 The baco is a flatbread sandwich with crispy pork belly and carnitas. It is one of my top five dishes within the City of Angels. I could eat one of these everyday. So good. 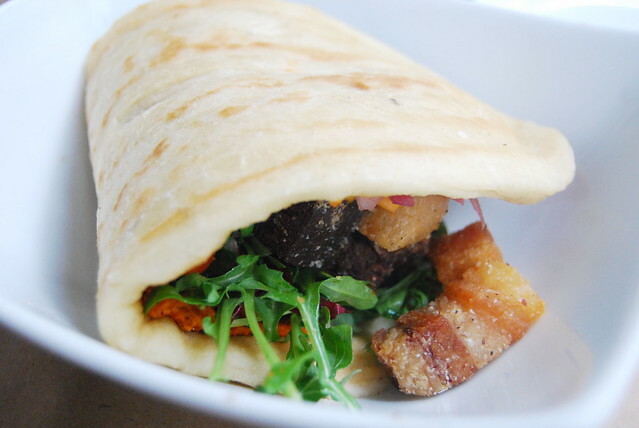 Here is what the inside of the original baco looks like. There are some greens and an amazing sauce. The baco has tomato but I don’t care, its THAT good. I’m not sure why I’ve never blogged about Baco Mercat…I have tons of photos from various meals in my Flickr photostream…but on this particular night we had a new dish that I’m absolutely in love with. I love bone marrow, and I’ve had it at Bestia, Mozza, Father’s Office, in menudo, and many other places. 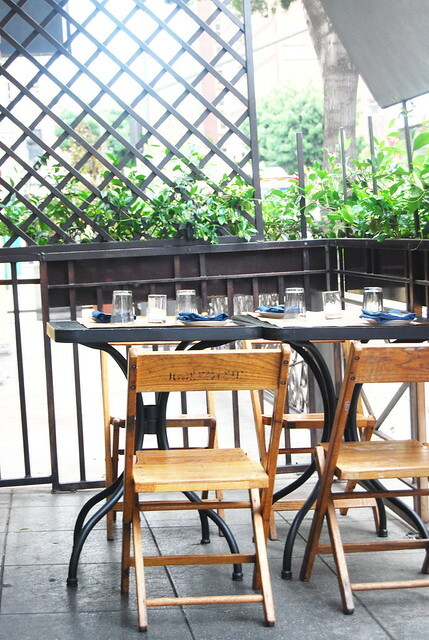 But this preparation was different…on the menu it said “crispy bone marrow” and curiosity got the best of me. What followed was beyond my wildest dreams. 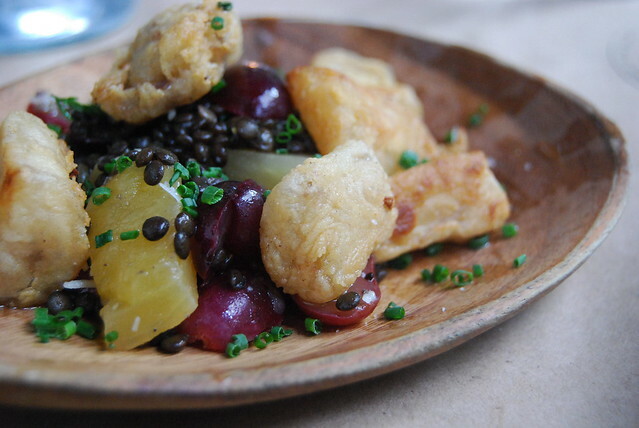 Fried bone marrow served with lentils and grapes. So buttery…so different…so amazing. This trumps shrimp toast from Son of a Gun as my favorite dish in LA right now. Wow. Its not for everyone but if you love marrow and want to try it in a different preparation, head over to Baco Mercat asap. This. Wow. I love Baco Mercat. I love Bar Ama. 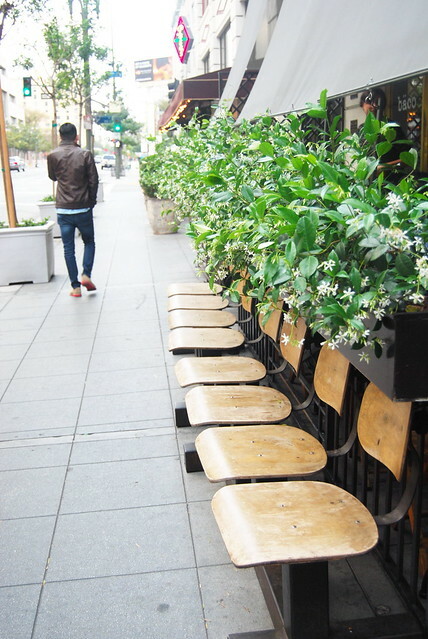 I love DTLA.